This well thought out to-do list will cover nearly every aspect of getting you ready to start a successful supplement company. If at any point you would like to learn more or begin the process please contact Ion Labs via the contact form on our website to speak with a customer service representative. Make sure that your business is prepared with plenty of financial backing. These funds can be acquired by taking out a loan or saving from previous business ventures. 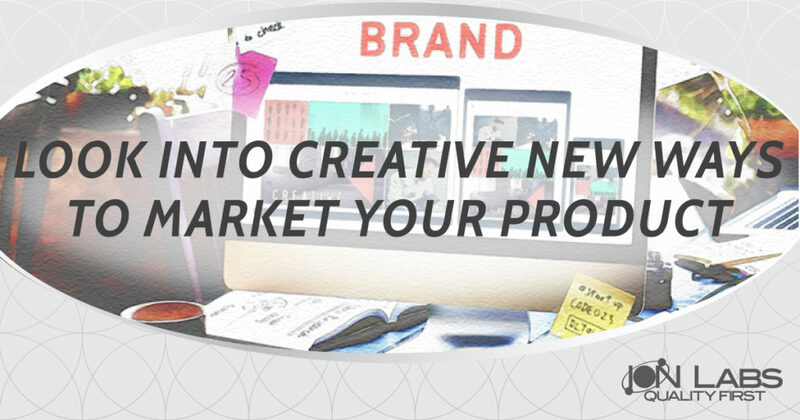 Start thinking of what you want your brand to look like to the consumer. Begin thinking of different products you want to make and what would be best a good fit for your new nutraceutical company. The biggest supplement companies use manufacturers and fulfillment companies that offer a variety of stock private label products that are at the peak of market trends in the industry. This is perfect for start-up companies looking to hit the ground running. You Want to Sell There are several different supplements available for private label manufacturing. From brain support supplements to weight loss and diet supplements, there are endless possibilities. Pick a nutraceutical product that you wish to resell to consumers. Now that you know exactly which products you want to sell and eventually start marketing, make a short list of the nutraceutical products you do not want to sell. Make sure when you begin selling your product that you include this information in your sales script. 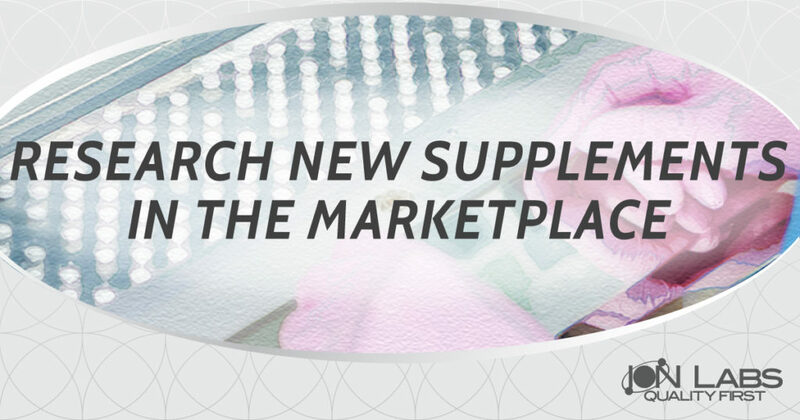 The nutraceuticals industry has a wide array of products in the marketplace. Regardless of whether you want your product to be a whey protein powder or a brain supplement make sure to take notes on the specific design and marketing techniques of the product you wish to emulate. Use the internet to narrow your search. Determine right away who you want to buy your product. For example, if you are making creatine or protein you are more likely to be targeting active individuals and weightlifters. If your product is Biotin, then you are more likely target individuals who would like to support the quality of their hair, nails, and skin. Make sure that you launch your supplement company with the understanding that there will be plenty of competitors. Know where your competitors are located and take note of their marketing strategies. Go out to the supermarket or your local vitamin store and actually buy products. Take detailed notes about types of capsules, pills, colors and bottle designs that you would like for your own product. This is the market research that will make it easier when you are preparing for your first order. The dietary supplement business moves in trends. If you do not keep up with these trends and make sure you are constantly in tune with the pulse of the industry, your business will fall behind. 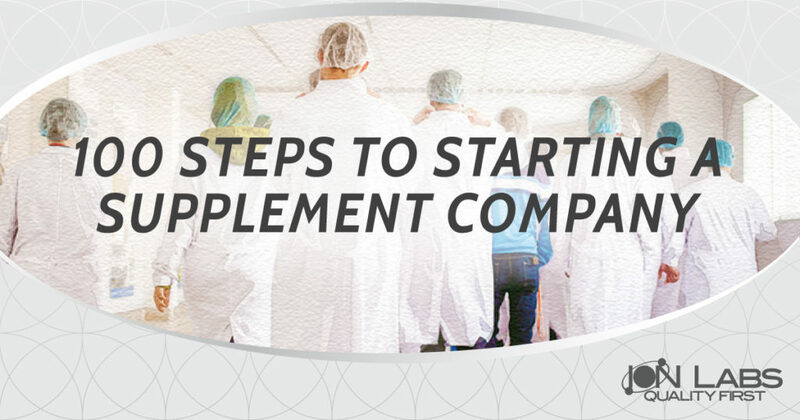 Write a business plan and a proper course of action for your new supplement company. When beginning brand development, you must make sure you collect all of your notes and determine a vibe and style. You want your brand to stand out amongst your competitors. Ask yourself: What makes your business and product different? Why will people gravitate towards your brand? What is the value of your product? Create a name for your product that you think transcends its presence. If you have someone in your network that is capable of designing a logo that looks good on a website, marketing materials, t-shirts, etc. then hire them. Ion Labs has an in-house graphic design team that you can reference as a source of design help. Create a mission statement that transcends the nature of your business. When you are reselling, a product makes sure you have a professional address and avoid using your home address. In the case, someone looks up your business on Google Maps it will completely discredit the image of your business. Start off with a P.O. box prior to buying property for an office. 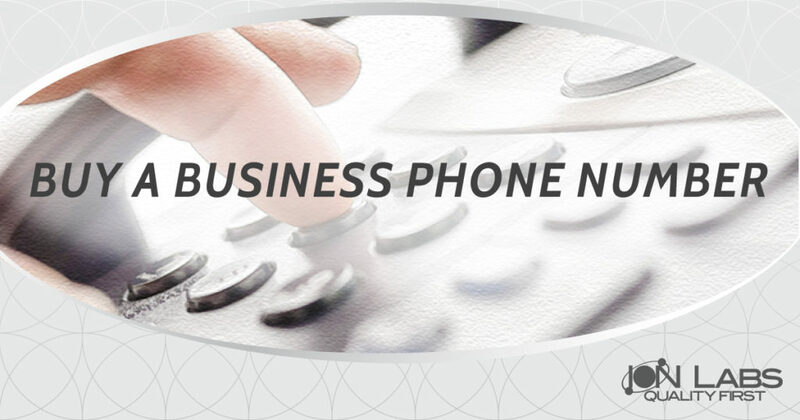 Buy a business phone number that is a toll-free number and will work easily from anywhere in the United States. Once the Product Name is Established Buy a domain address online with the title of your product in the mind. There are several domain buying services you can join in order to buy the domain of your choosing. It is also a smart strategy to buy the .com, .org. and .net for your domain name as well. Figure out if you are better suited as an LLC or Inc. Depending on your set of current affairs decide which is the best fit for you. Go to your specific state’s website and register your business in order to legally resell your products. Some states may have multiple business forms that are required to be filled out and submitted prior to launching your business. 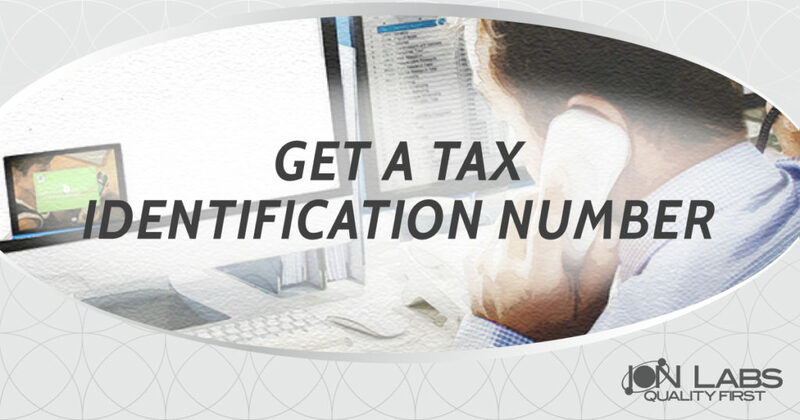 The Small Business Administration’s website provides instruction on how to receive a Tax Identification Number (TIN) through the IRS. Make sure to keep all of your business paperwork in a protected/locked filing cabinet or in a secure cloud drive for all e-files. Every state requires specific licenses and permits to operate. The Small Business Administration provides a long list of permits that every business must register with in order to operate in their state. Create a list of needed purchases and expense sheet that will break down all of the spendings that will need to be done in order to launch your business. Figure out what assets you have that you can incorporate into your business in order to cut down on adding to your expense report. It can be anything from pens to warehouse space. Take plenty of notes in order to make sure you are not purchasing items that you may already have in stock. Every business must have a financial record keeping organizer that works great with Mac and/or PCs. Track spending and eventually sales through this software. Purchase a customer relationship management software or better known as CRM software. CRM software is used to track the life cycle of a sale from start to finish. This type of software allows users to record client specific information so they can pull client reports and set renewal reminders. Ion Labs can recommend a number of CRM platforms for your operation. This is the most important piece of the puzzle. Without a reliable supplement manufacturer, this entire process is a waste. Make sure your manufacturer has a quality first mentality that ensures their clients are receiving the best possible product imaginable. Ion Labs is your first choice! 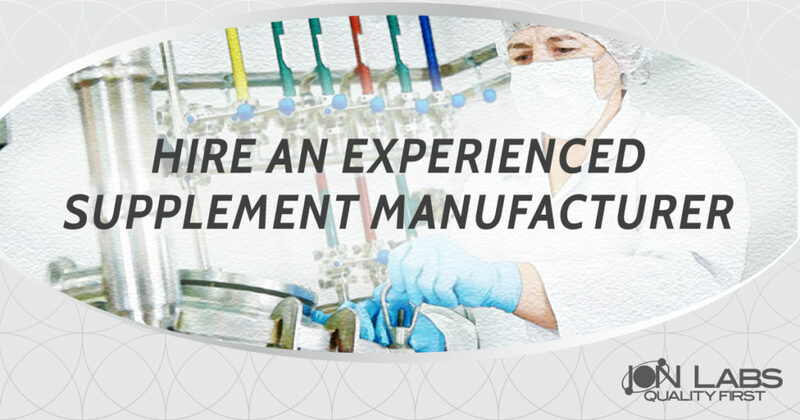 The contract manufacturer that you choose should have amazing customer service. They should be honest, friendly and willing to work with your business model. Keep in mind, nutraceutical manufacturers must produce several thousand bottles of your product in order to make a profit. The supplement manufacturer must be credible. Make sure whoever you choose as your manufacturer has a well-known list of clientele. This is also important in the chance your business is a mega success overnight and you need a manufacturer that can do large quantity turn around fast. Just because other manufacturers might be cheaper does not mean they are the best choice as a long-term manufacturer. A large manufacturer such has the ability to produce millions of tablets and capsules every day. You want a manufacturer to have several mixers and packaging lines so your product will never be delayed. Time is money and you don’t have time to waste either of it. Sourcing raw materials is a big part of the overall quality of the product. Without sourcing a great quality product, the finished product will not be as good as you hoped for. Ensure your manufacturer uses the best raw materials from around the globe directly from farms, fields, and suppliers. Every nutraceuticals manufacturer must be FDA-registered in order to make nutraceuticals. The NSF is a third-party audit company that inspects the methods, on-ground facilities, and controls used in manufacturing, processing, and packing nutraceuticals. A manufacturer can become NSF certified only if the NSF has officially conducted their inspection and issues a certificate to the manufacturer. Supplement manufacturers that have been in the business for several years know when to adapt from industry changes in order to produce products that are currently, or will be in the limelight. 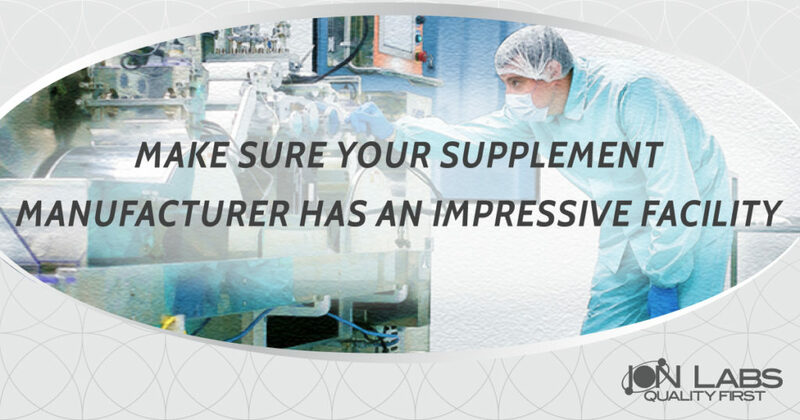 Before you sign a manufacturing, deal make sure to look at pictures online of the supplement manufacturer’s facility. Take a tour of the facility to make sure you see in operation where you are putting your investment. Without an in-house research and development team, a manufacturer can’t make custom formulas, plan measurements, put together ingredients or oversee the tech-transfer of new products from the formulation. A Quality Control Department ensures compliance with Standard Operating Procedures (SOP’s). They also inspect and closely monitor all stages of the production process and accurately oversee the completeness of the batch production records. Document control specialists are part of the quality control department and maintain control over all official documentation including SOP’s, batch records, and all required data logs. In order to make the process of hiring a nutraceuticals manufacturer even easier, you should always make sure they perform their own packaging. Hiring a manufacturer that can make the product is great but you also want that company to be able to package your product immediately in the chance you need a rush order. Ion Labs has several packaging rooms with skilled staff who are experienced in fast, premium packaging capabilities. Some companies must hire a third-party laboratory and even rent out equipment in order to create a new or existing product. Confirm that the manufacturing company you use is capable of fulfilling your orders. If you hire a company that does not have several large blenders then chances are it will take them longer to create multiple products. In the chance, your brand wants to create a product that would best be suited as a tablet, make sure the manufacturer has a state-of-the-art machine to conduct the tableting process. In the chance, your brand wants to create a product that would best be suited as a capsule, make sure the manufacturer has a state-of-the-art machine to conduct the encapsulation process. In the chance, your brand wants to create a product that would best be suited as a capsule, make sure the manufacturer has a state-of-the-art machine to conduct the coating process. Hiring an outside storage company can get complicated and get extremely expensive. Ion Labs has a 150,000-sq. ft. warehouse, where a product is stored just before quality control, does their final check before shipping the product out to retail locations. This will make it easy for your resellers to get your new product without your business worrying about the storage process. Manufacturers like Ion Labs offer in-house labels for all private label products. These labels can be created by the in-house design team. Not all manufacturers have these types of resources in-house. Once you have decided on the right private label nutraceuticals manufacturer, sign a deal and start preparing your marketing efforts. 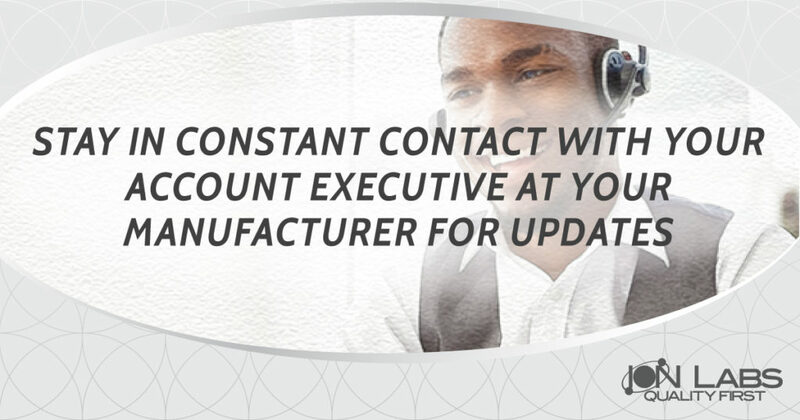 Account Executives are the experts if a business owner has any questions about their product beginning manufactured. Conduct market research based on how much you paid for each bottle to be manufactured along with how many of your competitors are pricing a similar product. Whether you want to position your brand as upscale or affordable is entirely up to you. Create a Facebook account where you post updates about your company, photos, and shareable content used to spread the word on your nutraceuticals company. Create a LinkedIn account to establish a professional presence online. LinkedIn is a great way to network with industry leaders, hire employees and drive in new business through social networking. Instagram is an online billboard. Use Instagram to post pictures, comment on other users and create online business relationships that could turn into sales, joint ventures or even cross-promotional marketing campaigns. Twitter is perhaps the easiest online networking tool in the world. Use Twitter to boost your product and brand awareness by tagging posts with active users, celebrities, and recognizable figures. Constantly post updates about your business and use hashtags relevant to your product and industry. A successful business has pillars of values that are used to uphold the company beliefs. One of Ion Labs’ core values is quality. We feel like a supplement manufacturer we must create the best quality product on the market, and we achieve that by living up to that core value. Decide core values that best represent your business model. 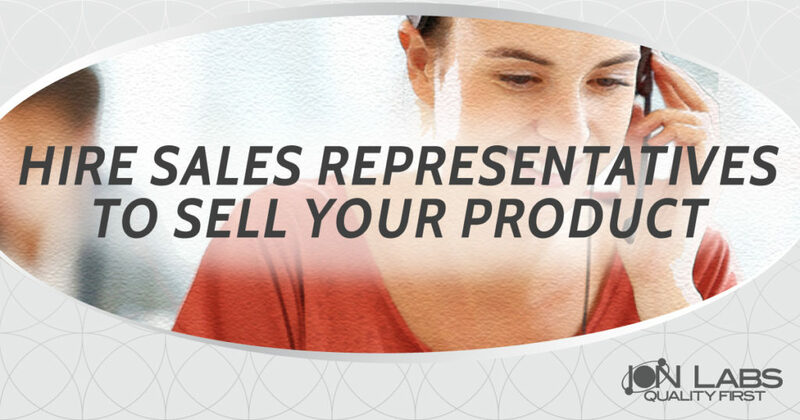 Sales are a key component of every business. Every sales representative at your business should be prepared with a sales script or a sales pitch for phone calls or in-person networking events. 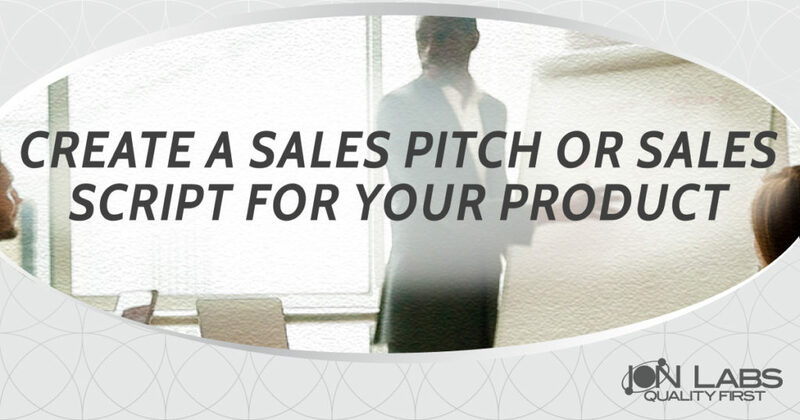 These sales pitches should be short, to the point and make the party listening interested to learn more about your product. A business without a website will have a lot of trouble being found. The internet is the best way to track down information and find an answer. If a consumer is looking to buy CoQ10 and you sell CoQ10 you want to make sure that consumer can purchase your product directly from your website. E-commerce websites make the purchasing process easier for both the consumer and reseller. Hire a professional photographer or a buy a professional grade camera to take the best possible product shots. These photos will be used on everything from marketing materials to your business’s website. In the case your product is featured in a news publication or a possible client wants to learn all about your company, it is important to create a media kit that contains everything there is to know about your company. Building a list of leads and contact information is extremely valuable. These connections could turn into a business changing a relationship. Never throw out a business contact no matter what. 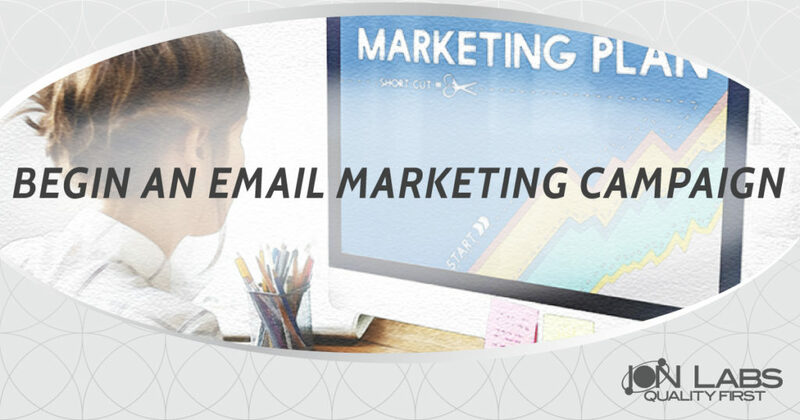 Start email campaigns to spread awareness about new products, deals and special promotions to your list of connections. Attend leadership events and business networking events to establish your brand in your community and among peers with similar trades. The blogging community for nutraceutical reviews is huge. Sometimes all you have to do is send your product to a blogger and they will take it and write about the effects. That is free publicity on the ground level that can never hurt your brand’s image. Some consumers value the opinions of respected bloggers and sending a sample to one can go a long way. Let’s be honest, everyone loves free things. If you create a contest on your website and promote it online through Facebook, LinkedIn and Twitter consumers will respond. This is a great way to build a reputation as a giving company that loves its fans. Just because everyone is buying online does not mean consumers still don’t buy local. Reach out to brick and mortar locations and find out if they would be willing to put your product in their store. Networking with fitness conscious individuals and athletes can help spread the word about your product around the fitness community. Gyms, yoga studios, and fitness facilities usually always promote supplements and products. Find out if there is any way you can promote your product at their locations. The fitness community has an amazing following. 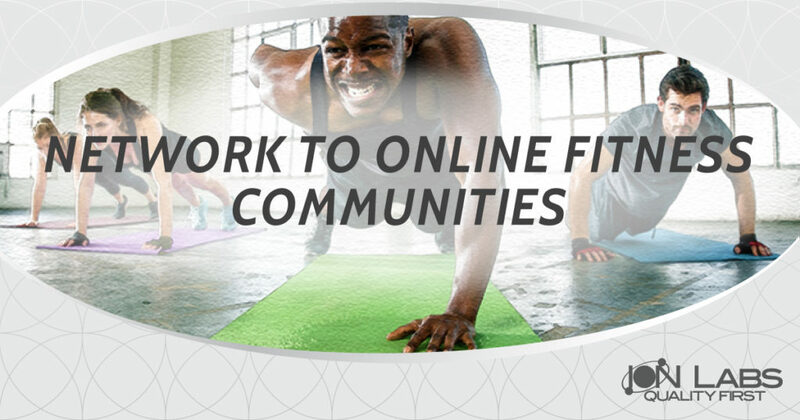 Join online fitness boards and networking groups to learn what people are talking about and see if there is any way you can incorporate your product into the mix. Whenever you plan on attending an event as an exhibitor or promoting your product at an event you always want to make sure you have a great booth. A nice booth can pull attention to your product and get people to come over and ask questions. A great booth can drive in leads and shadow your competitors. Hire an accountant or CFO to make sure that all of your employees, as well as yourself, are paid. Some businesses take a while to get off the ground and actually make a profit. Make sure you have a great accountant on your side to make sure your employees stay happy and you are not struggling. Get Business Insurance – Workers Compensation, Property Insurance, etc. Accidents happen. Be sure to acquire insurance, so you’re not left liable. Google AdWords has generated millions of dollars in sales for businesses. Make sure to consult with a Google AdWords Certified professional who can help you decide which campaigns and marketing efforts would best suit your budget and brand. It is great to have a website, but if your website can’t be found organically then it is a waste. Search engine optimization is such a key factor in the way businesses are found online. Speak with an SEO specialist in order to make sure your website is being found and is operating properly. Facebook, Twitter, and Instagram allow ad opportunities for businesses looking to market their brand to several thousand Instagram users. This is a great way to build sales and promote your business. Writing and distributing a press release is an industry standard marketing technique. It is still one of the best ways to alert media sources and reporters about new product launches, staff changes, and event details and overall achievements of the company. Every great brand has a promotional video that captivates an audience. It can be a product launch video, a testimonial video or a brief product description video. These are usually featured in slide show presentations and on a company’s website. Brands can also build awareness by sponsoring events in their community like 5K runs, festivals or concerts. This is a great way to get mass exposure for your product fast. Network with other industry related websites for cross-promotional advertising. This can be done by purchasing ad space on their website or developing a custom agreement according to special terms. One way to build your brand fast is by promoting it locally. If the local community generally has a great reaction to the product, chances are the nation will as well. Contact local resellers such as large chains or franchises to get your product in their stores. A good YouTube page can go a long way. If your business uploads videos that contain great content and generates an online following, your business will have a platform to market your product. Everyone loves to get a good deal. Ways to offer good deals to consumers is by giving out discount coupons to loyal customers. Ways to market coupons could be through your websites, in local newspapers, industry magazines, and email campaigns. Big coupon marketing providers post your coupons to their high traffic websites. This is a good way to promote one of your products that may be losing some momentum in the marketplace or a good way to get the word out on a fresh new product. 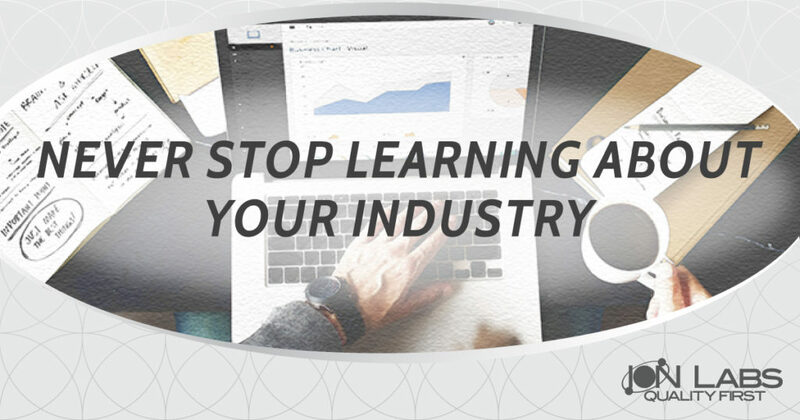 Everyone loves to be educated and learn more about a product, industry or topic. Free eBooks provide a ton of information on a specific topic. Every company should have marketing materials that they are proud to promote. T-shirts, mugs, keychains, and pens are among some of the regular marketing materials you will see at events and trade shows. Use these to spread awareness about your business and product. After a certain point, you must hire freelance sales representatives or in-house sale representatives to sell your product. It is the only way to increase the amount of revenue your company brings in annually. Every business must set fiscal goals every quarter in order to financially move forward. Every successful business must pay off their expenses, pay their bills, pay their employees and still have profit left over. When a business sets goals it makes it easier to prepare for the future and create a strategy to increase sales. Infographics are relatively new to the marketing and design industry. They are online posters, oftentimes interactive, that are generally used to educate a consumer on a topic. One of the best ways to speak with several potential clients all at once is by hosting a webinar. There are several webinar services out there that make it very easy for businesses communicate via video from a computer, tablet, and smartphone to computer, tablet, and smartphone. Webinars are usually used to educate consumers on a process, announce a new product launch or business negotiations due to travel obligations. Once you launch your product and it is on the market you should set goals for where you want it to be in six months, one year and five years from now. If you set a goal to get your product in a major retailer by a certain time, you will plan accordingly and make moves in an organized manner. People make the business; the business doesn’t make people. If you hire great employees your business will do extremely well. Skilled employees will take your brand to levels you could never imagine. Invest in your people and they will invest in your dream. Every business needs a lawyer. Just like the insurance you should always have a lawyer ready in the case you need legal advice. A good leader always treats their employees with respect. Make sure to speak to all your employees in a group atmosphere as well as one on one. Every employee has a purpose and is valuable to a growing company. Employees can stand behind a gifted leader with a vision for excellence. Make sure to give yourself downtime. Go to the beach. Watch television. Read a book. Anything but working will do. If you are constantly working you may forget about the things that matter the most like family, friends, hobbies and your health. The second you stop learning about your industry you have decided to stop growing in this business. The nutraceuticals industry relies greatly on the buying trend of the consumer. Read industry related articles to follow the pulse of the marketplace. Sign your business up as a philanthropic contributor or give some of your profits from a recent campaign to a worthy cause. Industry professionals respect businesses that give back to the community and help those who are in need. 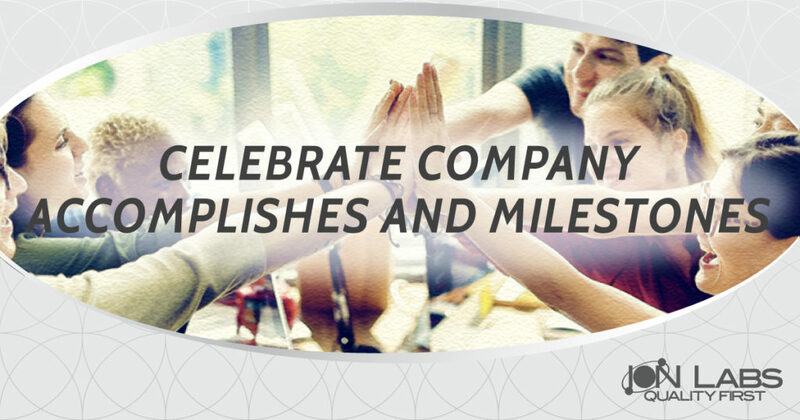 Make your business a place that your employees are excited to go each day. Throw birthday events, milestone events or even holiday parties. These are the little perks that encourage your employees to thrive at your business. Always put your best foot forward. You always want your product to be the best it can possibly be. Repeat customers are not created if the quality of the product lacks. Post available positions to online job boards to get the word out on your business. These job boards also have great SEO ranking abilities so they will help promote your business as well as find new candidates for employees. Find them. Fix them. Learn from them. 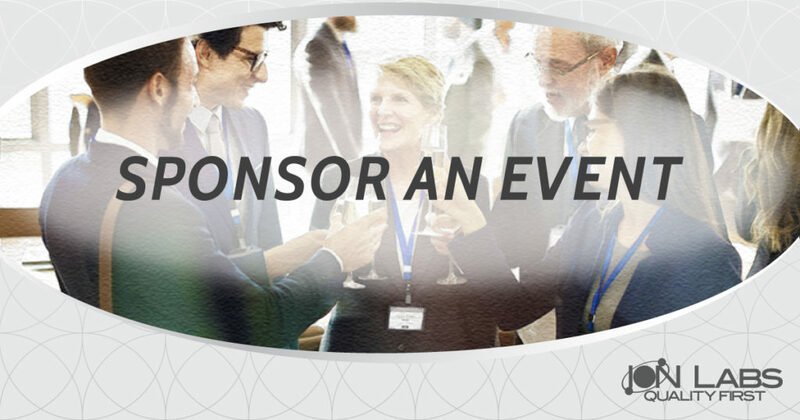 Plenty of organizations have annual dinners or industry networking events that host a number of guest speakers. Once your business is established, speak at one of these events to spread the word on your product. Always think of new ways to promote your business and product. Any step forward is one in the right direction. You will know after studying the marketplace and following industry trends when it will be time to launch a new product. Successful supplement manufacturers are constantly checking up on their clients to see if they are interested in exploring new product lines. This blog article was created to point your business in the right direction when launching your new supplement company. Ion Labs provides sales, marketing, advertising and product guidance for every interested client.